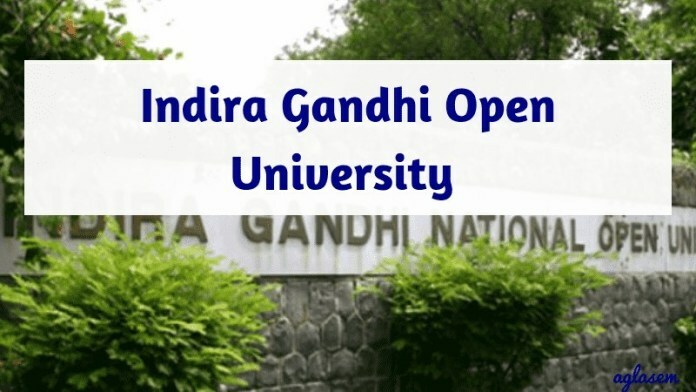 IGNOU Practical Date Sheet 2018 – Indira Gandhi National Open University has released the Term End Practical December 2018 Date Sheet. Candidates can check IGNOU Practical Date Sheet on this page. Practical Exam date, course code, course/title, semester and Important instructions. can be checked on IGNOU Dec 2018 Practical Date Sheet. The practical exam is being conducted for BCA, MCA, CIT, CBS, BLIS courses. Indira Gandhi Open University is conducting TEP December 2018 in the month of January 2019. It is equally important to download IGNOU Practical Hall Ticket for appearing in the exam. IGNOU Practical Exam Centre details can be checked from the hall ticket. Latest: IGNOU Regional Centre: Mudari, Ahmedabad, Chandigarh, Nagpur, Pune – TEE Practical Exam Dec 2018 (MCA/BCA/CIT) Date Sheet are available now. Also, For IGNOU Practical Hall Ticket 2018 – Click Here. How to download IGNOU Practical Date Sheet 2018? Candidates appearing for the Practical Exam Dec 2018 can check the date sheet region wise. The link for the practical date sheet is provided above. The date sheet is available in PDF format. Candidates can also download the IGNOU Practical Date Sheet 2018. How to read the IGNOU Date Sheet 2018? There will be three columns in the timetable, the first column will have the exam date. The second column will have the day and the third column will be consisting of the course name. The Course Name will be coded and the short form will represent the code. Candidates are aware of what their course is referred to as. So, candidates can simply check the date and time of the exams from the date sheet. If in case you have any confusion, candidates can check the code number of the course. If the confusion still persists, candidates can verify the course names from IGNOU website. Below are few important instructions for the Examinee. Candidates must appear for a particular course on a specified date, time slot. If fails to do so then he/she shall be considered as absent and such candidates can appear in next seme term end practical exam. Duration of Examination is 3 hours for MCSL036, MCSL025, CITL001 and one hour for BCSL-021, BCSL022,BCSL-032, BCSL-033, BCSL-034, BCSL-043, BCSL-044, BCSL-045, BCSL-056, BCSL-057, BCSL-058, and BCSL-063,(marked with *) and 2 hours for rest of the courses. Request for change of Practical Exam Centre will not be accepted under any circumstance. If the examinee attendance is less than 70% in the MCA Revised course and/or less than 75 % in all other courses, such examinee examination will be cancelled without the assigning any reason. Candidates who will be appearing for IGNOU 2018 Examination must have a hall ticket in their hands. It is important after the release of the date sheet that the candidates must also possess IGNOU Hall Ticket 2018. Candidates can download their respective admit cards by visiting the official website of IGNOU which is ignou.ac.in. Then, candidates will have to enter their Enrollment Number and Date of Birth in order to download IGNOU Practical Hall Ticket 2018 for December End Term Exam.